If you were watching the presidential election results roll in last night and wondering why the heck Florida is so important in elections, you’re not alone. Political junkies were holding their breath as Florida’s precincts tallied their votes, and when Donald Trump was announced as the state’s winner the inevitability of him becoming president edged closer. So what gives? Why do we care so much about the Sunshine State, especially in 2016? Well, it all comes down to the Electoral College — the centuries-old system we rely on to elect the president and vice president of the United States, and the reason Donald Trump is our future leader. Below, we’ve answered your biggest questions about the Electoral College, and explained why Florida always has such a big impact on election results. Still confused? Talk to us on social media! So what exactly is the Electoral College? The Electoral College is the system we use in the U.S. to elect our president and vice president. It’s written into the Constitution, so it would take a lot to change or get rid of it altogether. To sum it up briefly, the Electoral College is made up of 538 “electors” — people chosen by the states — who formally choose the president and VP. Each state is assigned a certain number of electors based on its share of senators and members of Congress (plus three for the District of Columbia) and the presidential ticket that wins in a state wins all of that state’s Electoral College votes (except in Maine and Nebraska, where the candidate who wins the most votes gets two electoral votes and the rest of the votes are assigned congressional district by congressional district). Basically, this means that if a candidate wins California, for example, it wins all of that state’s 55 electoral votes. The first candidate to reach 270 Electoral College votes wins the election. Here’s where the Electoral College system gets complicated: A candidate can win the majority of electoral votes but lose the popular vote — and still win the presidency. That’s exactly what happened last night: Hillary Clinton won 59,786,125 votes — 47.7% of the popular vote — while Trump won only 59,578,669 votes, 47.5% of the popular vote. Yet today, he is our president-elect. @HillaryClinton won the #PopularVote More people signed up for her vision of America. Take ❤️in that. This may seem unfair — since Clinton, like Al Gore in his race against George W. Bush in 2000, won more of America’s votes than her competitor — but because Trump won by small margins in many states, the winner-take-all electoral system worked in his favor. How does Florida fit in? As a populous state, Florida has 29 Electoral College votes to offer. It’s a swing state — meaning it’s not reliably Democratic or Republican — so candidates always campaign hard there to win over voters. 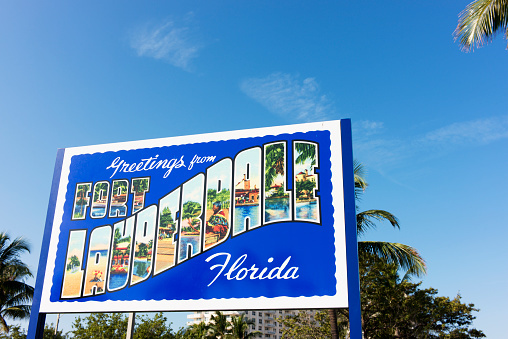 With about 4.6 million registered Democrats and 4.4 million registered Republicans, plus 3 million Independents, it’s easy to see why Florida is considered unpredictable. Before Election Night, pollsters were predicting a win for Hillary in the Sunshine State with The New York Times asserting, “Donald J. Trump doesn’t have an especially credible path to the presidency without Florida’s 29 electoral votes, and the early voting data there is not promising for his chances.” Citing the state’s large Latino population — which was not expected to turn out for Trump — the Times wrote confidently that Hillary was set for a win. But, being the swingy state that it is, Florida’s electorate voted in favor of Trump — handing him those precious 29 electoral votes and, arguably, the keys to the White House. Have Florida’s votes ever been this important before? And in that infamous Gore-Bush race, it all came down to Florida: In 2000, Bush had about 1,800 more votes than Gore in Florida the morning after Election Day, prompting an automatic machine-based recount. That was followed by a manual recount, per Florida law, and the margins became even tighter. Though the recounts wore on for more than a month, they were not completed, and Bush ultimately took the state — and the presidency — though the decision is still contested to this day. The fact is that last night Hillary won 228 Electoral College votes to Trump’s 279 — meaning that he still could have won the presidency even if Hillary had taken Florida. But there’s no way to know how other states would have factored in. One thing’s for sure, though: In 2018, we have the chance to elect advocates for women’s rights and the rights of people of color, immigrants and the LGBTQ community to the House and Senate — so let’s make it happen.